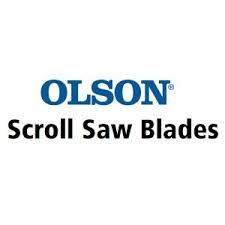 Blades with extra wide gullets for rapid cutting of solid hard/soft wood and multi-layers from 3/4in. up to 2in. thick without burning! -- Hardened and tempered teeth for extra blade life. Straight cuts or tight turns. (end to end) provide additional blade strength during tensioning process (eliminates distortion) to assure accurate cuts and minimum blade breakage. Every tooth set.